I’ve been to Lovecraft’s grave. My wife and I were in Providence for a long day and included it on the list of things to see and do. Earlier in the day we’d climbed the steep roads of College Hill on a Lovecraft walking tour, visited the Athenaeum where Poe romanced Sarah Whitman and Lovecraft went to feel closer to his writing hero. Later that night we got to enjoy WaterFire, one of the best reasons to visit the city. Mid day had us driving blindly along winding roads in the Swan Point Cemetery with only vague directions. 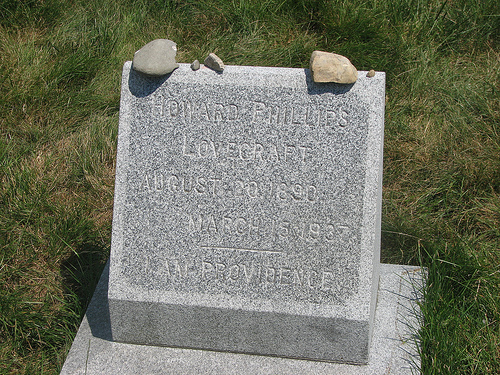 There were no signs leading to the main Phillips monument, or to the smaller gravestone added decades later that said “Howard Phillips Lovecraft” and “I Am Providence.” Ultimately it took someone waving us down, another pilgrim to the grave site. It’s a simple stone, paid for by fans who felt he deserved something more than just the family obelisk that towers over it. Fans graffiti it, leave tributes, or just stack a few stones on it. The cemetery discourages them all. We stood for a few quiet moments, took some pictures, and left. I’m not sure how well you can read the tombstone there, it was a bad sun angle for photographing etched stone, but he died March 15, 1937. 75 years ago, today. It was a painful death of intestinal cancer and malnutrition. It’s hard to know what to say about Lovecraft. Alright, it’s not really. 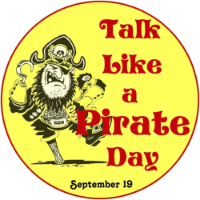 I have a book of his personal letters, just a portion of what is one of the most extensive lifetime epistolaries known, and what they show is a man with all his flaws. He wrote about his stories, his ideas, his poems. He also wrote about his prejudices, many of which go well above and beyond what can be excused by waving our hands and saying “it was a different time.” He was racist, xenophobic, and slightly technophobic, even as he loved science. He was, in short, not a man I think many of his modern fans would get along with over the course of a long conversation. He has fans still today not for the man he was, but for the things he wrote. He crafted short stories and poems that could only be described as weird and horrific. 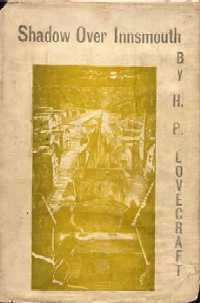 He built on the ideas of Poe and Chambers, and in doing so created a subgenre of horror defined by his name, Lovecraftian. Created a Cthulhu mythos that has spread beyond just stories and entered into the general public awareness. His continued influence over the horror genre speaks to how his ideas so enthralled readers. Because he wasn’t a great writer. I always hate to say that, but it’s true. I still go back and read him, though, not for his prose but for these dark themes he created of being so powerful they can only be seen as gods, but who don’t care at all about the men who worship them. Horrid things that would bring about apocalypse without a second thought. It’s an odd bleakness that speaks to something deep in the psyche. And three quarters of a century ago, this man died. A man of flawed opinions, of dubious skill, but of boundless imagination that still grips us today.